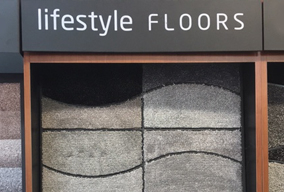 We are well-known for our extensive range of carpets, vinyls and laminates, expertly measured and fitted by our experienced team. With price ranges to suit every budget and a professional, efficient service, our team will help you choose the perfect floor covering for any room in your home. 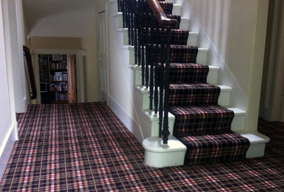 Our range of carpets includes Lifestyle, Brockway, Adams and Whitestone Weavers. We offer a large selection of vinyl floor coverings including those from Camaro and Karndean with Laminate flooring from Quickstep, Balterio and Lifestyle. 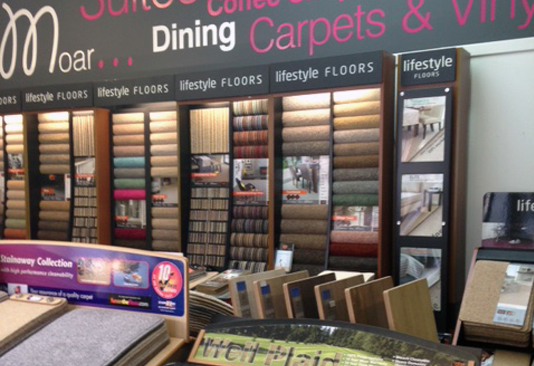 All ranges can be viewed at our showroom. We come to your home to measure and estimate free of charge and our expertly trained team will install your choices to insure a perfect finish.